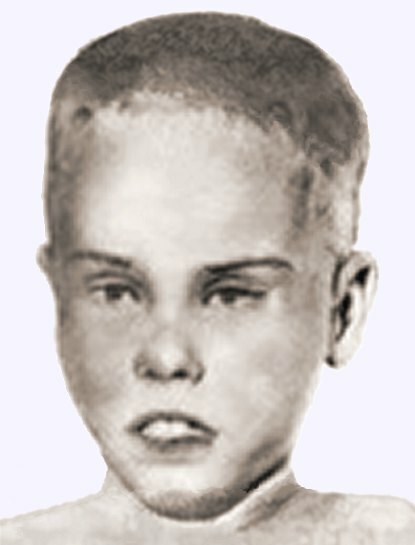 A police artist's "lifelike" reconstruction of the unknown boy's face, based on a post-mortem photograph. Another "lifelike" reconstruction based on a post-mortem photograph. 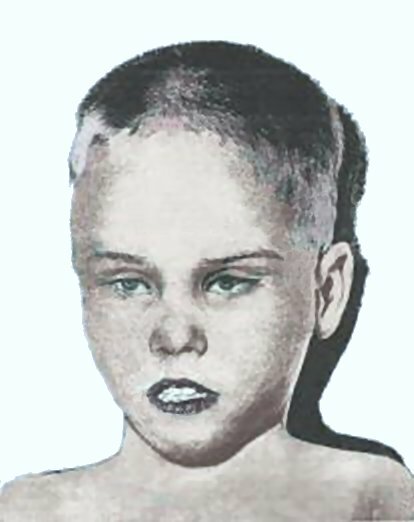 Hypothetical sketch of the unknown boy as he might have appeared in life. 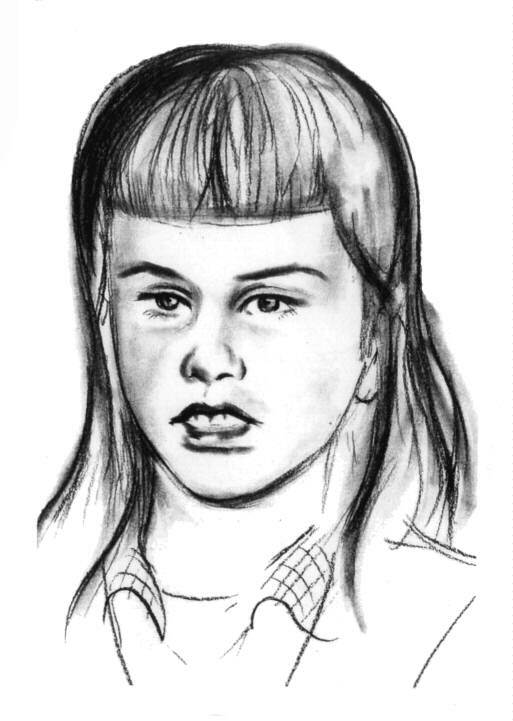 Another sketch by the same artist, depicting what the unknown boy might have looked like if he'd been raised as a girl. 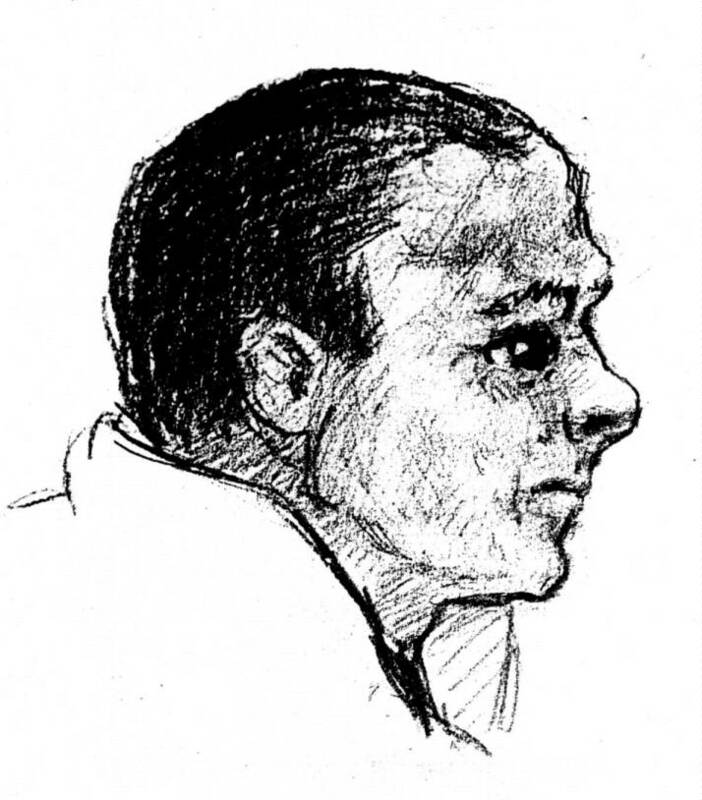 Woman artist's rendering of a man she saw on a Philadelphia bus shortly before the unknown boy's body was discovered in Fox Chase. The man was accompanied by a young boy who allegedly resembled the unknown Boy in the Box. 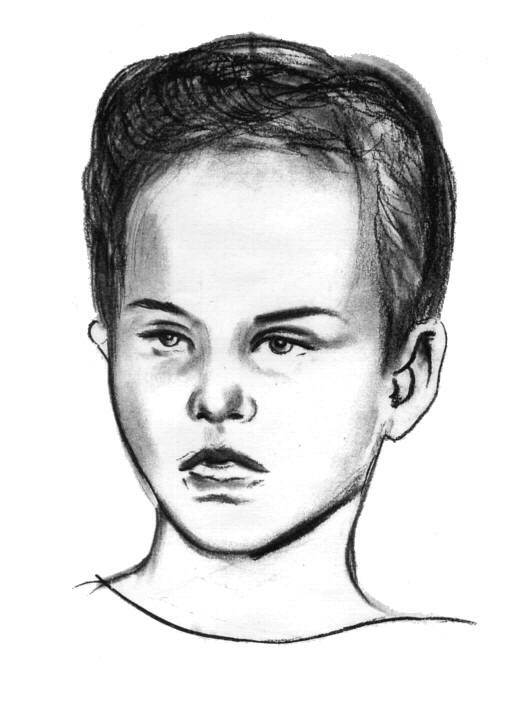 Compare this sketch with Frank Bender's hypothetical bust of the unknown boy's father, below. Hypothetical bust of what the unknown boy's father may have looked like, by forensic sculptor Frank Bender, V.S.M.